Creeping Flesh focuses on obscure and vilified horror movies, the discovery of “lost” films, and an appreciation of British exploitation. Creeping Flesh has a history which stretches back a couple of decades, to a time when I devoured absolutely any book I could find on horror films (there wasn’t many). It stretches back to The Haunted Screen, a volume in which Lotte H Eisner discusses the evolution of German Expressionist cinema. It would be years before I’d get the chance to watch the likes of The Cabinet of Dr Caligari, but the impact the stills had on me — impossible perspectives created by the set designers — was almost palpable: buildings and alleyways were all ‘wrong’, but in these unlikely shapes was created a new (psychological) reality. Not forgetting the shadows which I learned were not actually cast by any light source — natural or otherwise — but were instead painted onto the floors and walls of the set. David Pirie’s The Vampire Cinema was another landmark work, in that it helped to feed my interest in Euro horror, discussing films by such directors as Jean Rollin, Jorge Grau and Jesus Franco. That these films were being discussed at all was something of a revelation; not many critics were acknowledging these films, let alone analysing them back then. 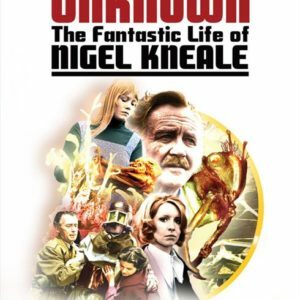 As the seventies slipped into the eighties, books on fantasy and horror cinema became more common place, and a whole new fan base exploded around the more visceral horror films that were emerging. This was the decade that saw the cult of the makeup and special effects artists, bringing celebrity status to the likes of Tom Savini and Giannetto di Rossi. Fans in Britain and the US were galvanised by Fangoria magazine, small press zines, and a sense of solidarity in the face of censorial bodies (like the BBFC) and increasing media backlash. The wealth of fanzines devoted to horror cinema which appeared in the eighties is enough of a subject to warrant a book unto itself. These were energetic times for fans and the thirst for knowledge pertaining to non-mainstream, obscure and banned films helped to create an underground network which equalled — perhaps overshadowed — that of the punk music press several years prior. 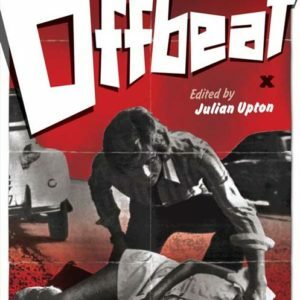 Titles like Gore Gazette, Sleazoid Express, Slimetime, Shock Xpress, Hi-Tech Terror, Video Drive-In, Cold Sweat, Sub-Human, European Trash Cinema, Demonique and The Splatter Times, were a success in as much they lasted for a little while (three issues or more) and managed to etch out a niche in a market quickly being saturated by product of varying degrees of competence and quality. Many more titles were simply one-offs. 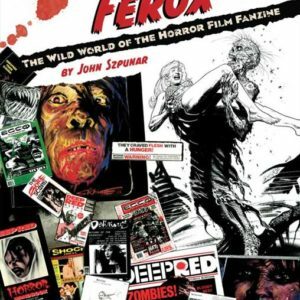 It is to the passion and energy of the best of the horror small press that we turn to for Creeping Flesh, combining it with fresh information on obscure, forgotten or ignored genre efforts. Having discussed the indirect inspirations behind the book you hold now in your hands, it was the recent availability of some archive telefantasy that ultimately pushed the idea of Creeping Flesh into a reality. It seemed a crying shame to allow the material covered herein to remain unchecked for much longer. 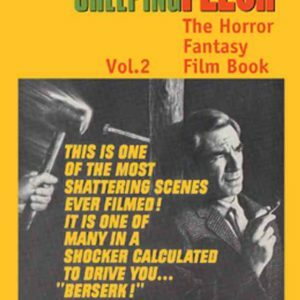 Despite sterling efforts by the likes of the BFI — who are responsible for releasing several films under review — too much of the material in Creeping Flesh is superseded by the words ‘Not presently available in any format’. Consequently, CREEPING FLESH is intended as an ongoing series, with preparations already underway for volume two, scheduled for Winter next year. But let’s not get too ahead of ourselves. Dim the lights, sit back and — to paraphrase a character from The Signalman, one of the BBC’s ghost stories for Christmas — “Take comfort in the discharge of your duties.” Or was that Steve Coogan in Dr Terrible’s House of Horrible…?